Since 2010 we have been offering amazing experiences on these amazing machines! We have seen quiet and tentative people come alive while enjoying the sensation that is Segway riding. From humbled beginnings as a small family business, we have transferred one tour into two, and soon two tours into three, but in doing so we have kept that family feel and personal touch that comes natural to us, but essential to our customers. We have found over the years couples, families and corporate groups have been looking for something different but accessible from all aspects of age, gender and fitness levels.....the Segway experience certainly does this. It is a sensation like no other, but a sensation you need to experience for yourself. Currently we have up to 30 segways on the go between two segway tours - Newcastle and the Hunter Valley, with the Port Stephens tour in the planning stage. The tours cater to, locals, tourists and to small corporate groups. For the larger corporate groups we work in collaboration with our parent company East Coast corporate and Group Xperiences. They facilitate team v team activities to complement conference, incentive or Xmas functions. They also offer a large range of innovative activities including Segway Seglympics - a highly entertaining team event they developed in NSW & the ACT back in 2010. We can help you with the sale, service and parts of your Segway. We also offer advice and feedback on everything Segway, including starting up your own Segway tour, so feel free to contact us. 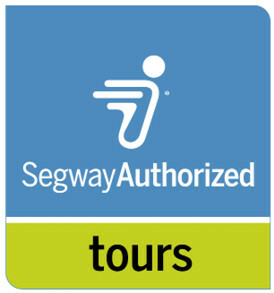 The team here at NSW Segway thank you for visiting the website and we look forward to seeing you out on a tour!